In 2017 Catholics around the world celebrated the hundredth anniversary of the apparitions of Our Lady in Fatima, Portugal. On six occasions, between 13 May and 13 October 1917, the Mother of God appeared to three shepherd children and gave them a message for the whole world. She told them that prayer – especially the Rosary – penance and interior conversion were the means to avert war and disaster from the world, and that men must stop offending God by their sins. On 13 October 1917 a crowd of around 70,000 people were witnesses to a solar miracle in which the sun above them began to spin rapidly and then plunge in a zigzag fashion towards the Earth, before rising back to its place again. The Fatima apparitions have been recognised by the Church, and several of the Popes have since visited the shrine in Fatima. Many Catholic faithful, on every continent, have responded to Our Lady‘s appeal, consecrating themselves to her Immaculate Heart, praying the Rosary and striving to love God better. They include many people in Africa. 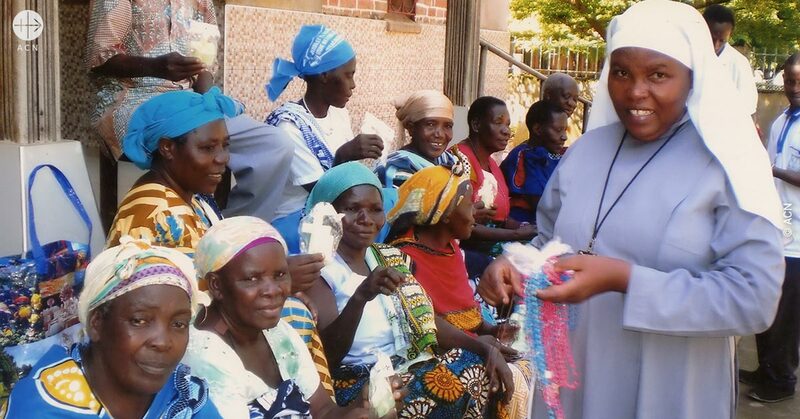 For example, in the diocese of Ifakara in Tanzania, which has only been in existence for five years, there is already a lively Fatima apostolate, led by Sister Euphrasia. Their aim is to spread the message of Fatima among the families in all 23 parishes of the diocese, encouraging the Rosary and encouraging people to avail themselves of the Sacraments, especially the Sacrament of Penance, and the same time encouraging a spirit of active neighbourly charity in order to live this faith in practical deeds as well. However, most of the parishes in the diocese are in rural areas and include numerous outlying villages. And at the same time, until recently, they were short of the necessary materials, notably rosaries and booklets. But now, thanks to the generosity of our benefactors, we have been able to give 1,700 Euros for 30 bicycles, thereby enabling the catechists to visit the many villages more easily, plus another 1,500 Euros for the rosaries and other items required. Thanks to this help, the Fatima apostolate in the diocese has been given new impetus and been able to extend still further.